Open the pages. Hear the sounds. Dundalk Gaol — Friday 17 June, 8 p.m. The Book of Light and Shadow is two books. It is a Book of Angels, a collection of 300 mystic tunes by the New York master of sound-magic John Zorn, and it is a book of photographs – heliographs, as they were originally called, pictures made by the light of the sun. Zorn is choosy about the musicians he lets play his Book of Angels. For this concert he has given permission to the outstanding group Saltarello, on strings and percussion, who will make a recording for his Tzadik label. 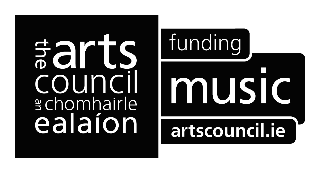 Dundalk Gaol Dundalk — Saturday 18 June, 3 p.m.
Dundalk Basement Gallery — Saturday 18 June, 5.30 p.m.
German composer Jakob Ullmann writes music in which the infinitesimal becomes momentous. For Louth he has created a new piece for live bassoon and recorded voice, to be performed by the extraordinary musician-improviser Dafne Vicente-Sandoval. The title, Müntzer’s Stern (Müntzer´s star), refers to Thomas Müntzer, the most radical spirit of the early Reformation. Tickets are limited for this music of intimacy and extreme quiet.Tickets free but donations greatly appreciated here. Meet the composers Jürg Frey and Jakob Ullmann visiting Ireland for the first time. Free event. first come first serve, booking not necessary. St Nicholas Church of Ireland, Dundalk — Saturday 18 June, 8 p.m. This culminating event introduces the Swiss composer Jürg Frey, whose music is noted for its gentle wide spaces, allowing listeners to revel in the “corporeal splendour of undiluted sound” (The Guardian). Three works of his are on the programme, including the mesmerizing 24 Wörter, where 24 words provide the entire text for a journey through 24 songs. Completing the evening are more songs, by the Polish romantic Henryk Gorecki, and Galina Ustvolskaya’s stupendous violin sonata. This concert is being recorded by RTÉ lyric fm for future broadcast. 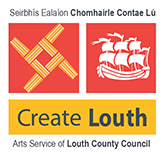 Music Books also received funding under Louth County Council’s Community Tourism Diaspora Initiative. Music Books is also supported with the friendly support of Ernst Von Siemens Musikstiftung.